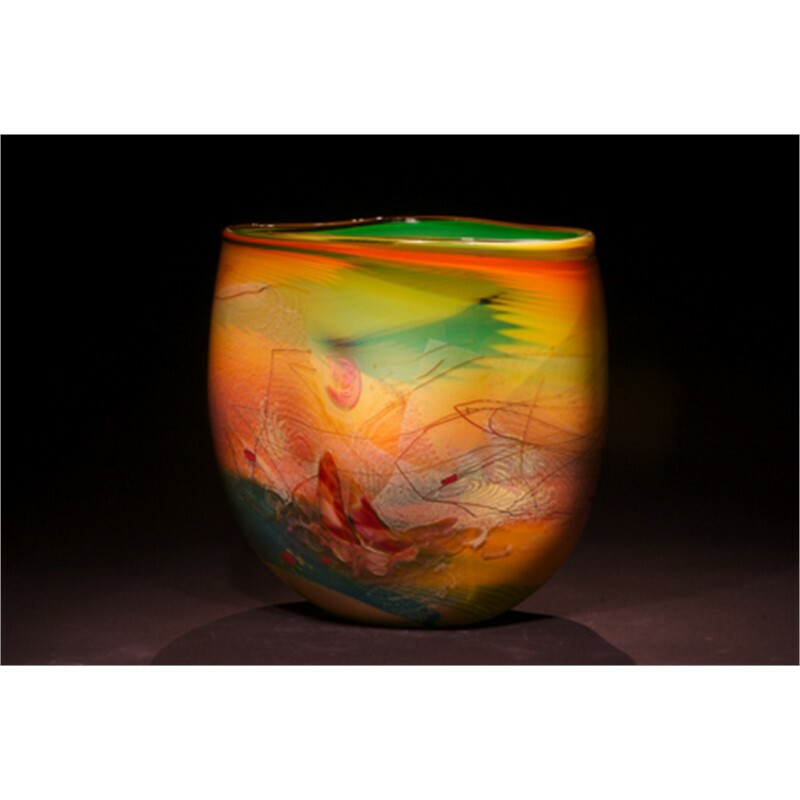 Chris Hawthorne began creating glass while working as a commercial fisherman off the coast of Oregon in the mid 1970's. Through a mutual friend, he met famed glass artist Dale Chihuly, who encouraged him to further explore the world of glass. At the Pilchuk School, Hawthorne studied with a number of contemporary glass masters. In 1985, Chris built his own hot glass workshop near the small fishing village of Port Orford, Orgeon and continues to work there today. Late summer 2010 saw the completion of the Hawthorne Gallery in Port Orford, the sister gallery to the Hawthorne Gallery in Big Sur, CA. Chris and his brother, Gregory, also completed an oceanfront restaurant called Redfish which sits on a bluff overlooking the majestic, Pacific Ocean. The Redfish and Redfish Loft, providing overnight accommodations, features the work of Chris and Gregory Hawthorne as well as a number of noteworthy artists, including Albert Paley, Max DeMoss, Michael Gustavson and others.